Affiliate marketing is changing. For years it was dominated by expensive programs that did little more than cannibalize existing customers brought in by other channels. Marketing managers have come to realize these programs are so full of fraud and off-brand promotion they often end up doing more harm than good. But to eliminate affiliate marketing completely is to miss out on a huge opportunity. Properly managed affiliate marketing programs can account for 10-20% of online sales and have one of the highest ROIs of any digital channel. The key is to embrace the new second generation of affiliate marketing that emphasizes quality content affiliates, attribution, and brand integrity. 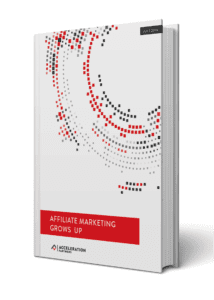 Our latest eBook: Affiliate Marketing Grows Up explains how to upgrade your program to the new Gen 2 and gives you insight into what the most innovative brands are doing to bring in valuable new customers through the affiliate channel. Download it now and learn more about what our affiliate management services can do for your program.